Laptop D-Day: Goodbye, Circa-2003 Compaq -- Hello, ??? Laptop D-Day: Goodbye, Circa-2003 Compaq — Hello, ??? Well, I’ve decided that today is the day I get a new computer. I’m tired of whining and dealing with this slow-as-a-turtle hunk of junk. Although I will admit, it did last me 6 1/2 years. This desktop computer I’ve been typing away on throughout my Rainy-Day Saver blogging days (and years prior) is a Compaq Presario. It still has the specifications sticker on the hard drive: 2.08 GHZ AMD Athlon XP processor; 512 MB RAM, 80 GB of space, and a CD-RW drive and a DVD-ROM drive. It was good for its time, and came with a flat-screen monitor. Now, I’m trying to figure out whether I get a dual-core processor or a more advanced one (Intel Core i3 or i5). Dell or HP? Is a 15.6″ screen sufficient, or do I splurge on the 17″? I’d like one with a webcam, so I can try out this Skype thing everyone’s talking about. Oooh, look, they come in different colors now! I have a habit of starting out looking at lower-priced models (and really, this goes for anything: cars, computers, furniture) and talking myself into little “upgrades.” This is where I will have to control myself. I like this HP laptop, with an Intel Core i3-330M processor. It’s a newer processor than the old dual-core processors, and I’m having a hard time figure out the difference between the two for my purposes, which are surfing the Internet and writing. Most laptops only come with Microsoft Works, too, so I might need to get a Microsoft Office upgrade — but no way in hell am I paying $300 for that luxury. I’ll have to see what my options are in-store. Most likely, I’ll be visiting our local Staples store because it’s close by, and check out the laptops they have on display there. This way, I can get a feel for whether or not that 15.6″ screen will suit me just fine. I will have to avoid walking out with extras, like a computer case, a newer printer or a new office chair! 10 comments to Laptop D-Day: Goodbye, Circa-2003 Compaq — Hello, ??? I'm anti-Dell, basically, and love Sony Vaios. They run a little more (a couple hundred) sometimes, but not always. Toshiba is good, too. @Chay: Amazingly, I've been working on an old-school desktop computer all these years. This is my first foray into laptop territory! I wound up with a Toshiba with a 16" screen (I'll give details in my next post). And I do plan to reformat my old desktop after moving things to an external hard drive/migrating them to the laptop. It'll be nice to have a "backup" computer, since it doesn't take up much space on the computer desk. This posting speaks directly to my own recent laptop upgrading adventure. I wish you the best of luck on the search for your new computer! For me, both my old and new laptops were ThinkPads (which are now made by Lenovo, but formerly were manufactured by IBM). I think they're dependable and sleek (though probably not much different than comparable systems on the market). I would recommend the bigger monitor, only because all of the online videos nowadays are formatted for widescreen computers, and for high-definition, and they tend to look better on the larger monitors. Also, because you're a Windows user like me, the money you'll save (from not buying a Macbook) will give you a little liberty to spoil yourself with other upgrades. Processor-wise… Intel's Core 2 Duo is sufficient for standard things like word-processing, photo editing, watching DVDs, chatting online, Facebooking, and uploading pictures. But for the extreme gaming experience, or the Blu-Ray experience, or serious multitasking using programs that drain CPU resources (like graphics rendering, video-editing, moviemaking, etc. ), a newer edition Intel processer (i.e. Core i7) may be worth the purchase. (As I personally do none of these things, my Intel Core 2 Duo works just fine). @Red: I've heard Gateway is not so great, and it seems to have heavily fallen out of favor. @SingleGuyMoney: Saw your blog — $1600 isn't in my price range, haha. I'm looking for something in $500-$700 range, I don't need it for much. I've used Macs at work for 15 years now, and I'm not impressed. I think they're overpriced. Even a simple laptop starts at $999 for a bitty 13" screen. My eyes probably couldn't handle that size every day. Whatever you do, don't buy Gateway! My and my brother's first laptops were Gateways, and oh, to have back the time that I spent taking that thing in for repairs at Best Buy! Both of our DVD drives went out, and by the second year, it was such a slow hunk of junk because it picked up viruses all over the place. I vote for a MacBook Pro!!! I just got one a few weeks ago and I love it. As a long-time PC user, I wish I'd made the switch a long time ago. The only downside is that it is a little pricey but it is totally worth it. @MrsMicah: But what makes a laptop crappy? The processor? Besides the extraneous software and branding, doesn't seem to be any differences besides the technical ones (RAM/HD space/processor/gadgets). Acer or Asus, both good. 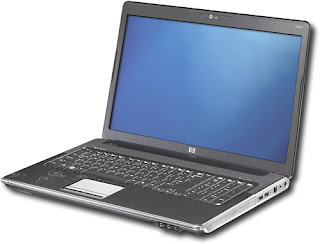 I'm very disenchanted by HP as they made a whole line of crappy laptops about 4 or 5 years ago. They may have improved, I'm not finding out unless I absolutely have to. @Jessie: Thanks for the suggestion! There doesn't seem to be one that stands out in the reviews online, and everyone has a different opinion. Some people really like their Acers, and I've only heard about Asus during my recent research. It does seem to have what I need. Brand wise – I would highly suggest Asus (not acer)if you're getting a laptop. It's high quality, good warranty, and my family (and extended) has had great things to say about them.